Caramel Chai smells very spicy and sweet. It’s part of the sampler that Hazelnut Chai came in (my thoughts on the weight per bag vs. total weight of tea in the sampler is proof that math is actually handy in real life) and is the second tea from the bottom. I love the container still, it’s quite handy. The tea bags are the same as for the Hazelnut Chai – nice round bags that don’t come with a string (which I don’t mind too much). Caramel Chai smells heavily of spices and not so much on the ‘caramel’ side of things. It does smell distinctly sweeter than Hazelnut Chai, if that’s any consolation. Caramel Chai is made up of: organic, fair-trade certified rooibos, cinnamon, ginger root, licorice root, natural flavouring, cloves, cardamom, nutmeg, black pepper, organic vanilla bean. All of the ingredients listed have little asterisk next to it (aside from the “natural flavoring”) to indicate that the ingredients are certified organic. Pretty neat! But that’s an awful lot of ingredients to make it taste like caramel. I’m not a big of fan of licorice candy, so I’m crossing my fingers that the licorice taste doesn’t come out too much (or, if it does, that it mingles well with the other ingredients!). 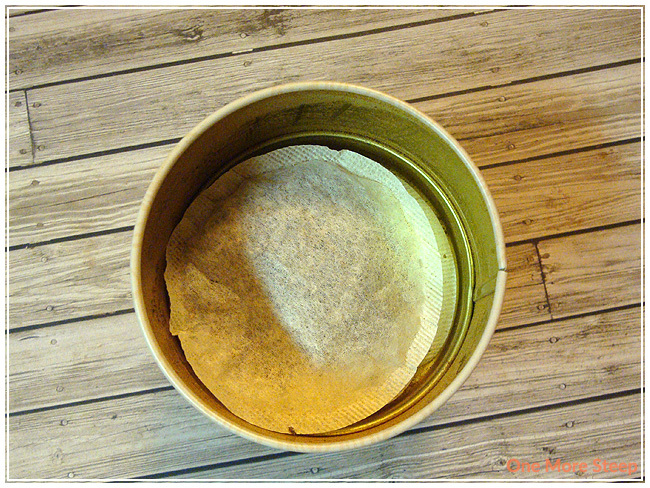 Zhena’s Gypsy Teas recommends steeping the tea bag in water that’s been brought to a rolling boil and to steep for 3 to 5 minutes. I steeped for about 4 minutes. 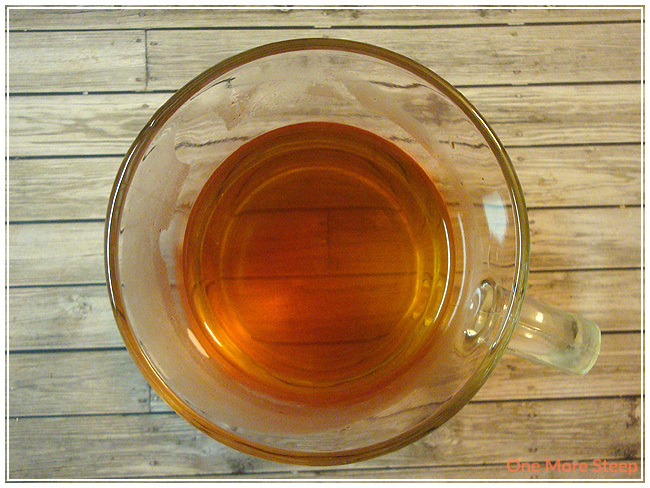 Caramel Chai is pleasant, very spicy – the Chai really overpowers most aspects of this rooibos tea. The sweetness of the caramel isn’t very bold or inviting. The tea itself is a lovely red colour, and it really benefits from having just a little bit of sweetener added to it. I used white sugar, and that helped to brighten up the flavour and it does help to coax out those caramel notes, which are still quite weak in comparison to the spices of the Chai itself. I quite like it though, it’s a very pleasant cup of tea. Resteeping Caramel Chai doesn’t do much in terms of coaxing out more flavour or doing well for a second cup of tea. I don’t think Caramel Chai does well with more than one steeping. 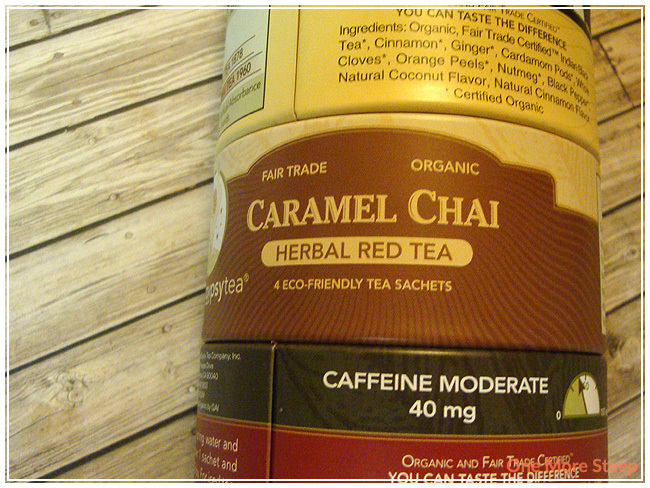 I liked Zhena’s Gypsy Tea’s Caramel Chai. It hits all the right spice notes as a Chai should, and while the caramel flavour was a little lost for me, a small amount of sweetener helps to coax out the flavour a bit and having a sweetener helps to brighten up the flavour a lot. I think this tea definitely benefits from having sugar (or a sweetener of your choice) added to it. It has a pleasant aroma and is easy on the palate. I think it’s a lovely Chai and the added bonus of being caffeine free (as it is a rooibos base) makes it nice for having any time of day.